Unfortunately I am extremely busy with Collage and finishing my beauty degree. But no worries I will try and get back into routine ASAP. As many of you can recall i have done two Essence reviews in this past which would mean this is now my third. A Huge thank you to Essence for sending me a few goodies to review, Please note that I am in no way, shape or form associated with Essence and the post to follow is strictly my thoughts, opinion and views. So as many of you know Essence is animal cruelty free which also adds them to my book of products to over look and keep in mind as I am completely cruelty free. I have received a few things from them which i have been wearing and trying out for the past week which has now lead to this post. I got sent the soft beige toned one which is 01 – Want to be my Freshman and I can without a doubt say I absolutely love this, is so simple and easy to apply and if you are really in a rush no need to apply a eye-shadow base as it’s sticky base helps to keep it in place for a full working day. I did however apply a bit of powder eye-shadow over it just to take away some of the shine as i’m not to big on wearing makeup in general yet alone full on shimmer, But if you are all for bling, it’s pigment really is wow. 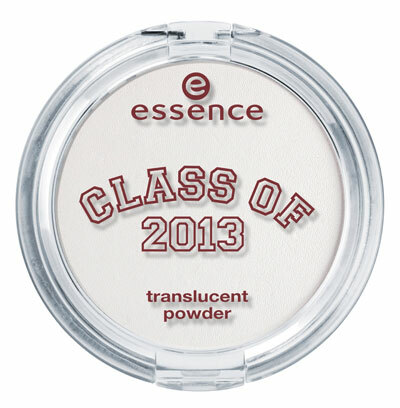 The Essence Translucent powder’s Silky texture is suitable for all skin types and offers a matt complextion all day long. This is only available in 01 Sheerleader. 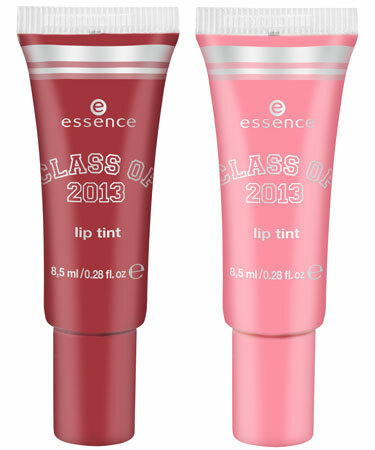 This was by far my favorite to have received as I am not a big Lipstick girl and love my gloss, The Class of 2013 lip tint is so easy and awesome to use it has a soft fluffy wand for easy application and smooth rounding, The lip tint adds a matt tone to your lips which gets super enhanced when you apply your gloss over it, it’s also long lasting and smudge-proof. I don’t think I’ve used anything else on my lips apart from my lip tint and gloss, Really enjoying this product. 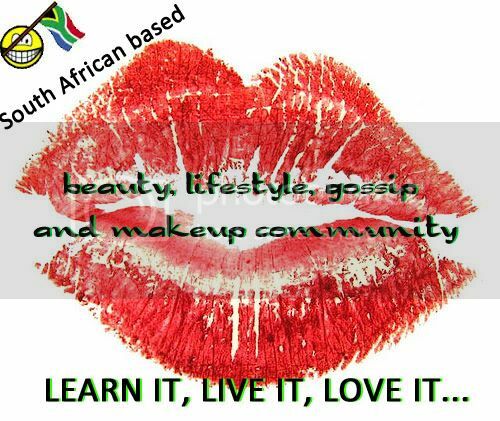 The Lip tints are available in 01 Alpha Better Gamma and 02 Ready for a Rush week? Being at the stage of completing my Nail tech course along with my Beauty Diploma, My nails have taken somewhat of a beating due to the systems I have been applying. I Got sent 04 – Alpha Better Gamma which is a pastel pink with a bit of a coral twist, perfect for everyday wear especially now that Spring is here. I applied a coat of the polish along with a UV glaze and my nails looked amazing for more then a week, unfortunately it then started chipping but this could be due to my nails being brittle from the systems, I will definitely be wearing this colour again as the application really looked amazing, love the colour as well as the Flat brush which helps to make application smooth and easy. These nail polishes are available in 01 – Blues of being cool, 02 – School’s out forever, 03 – Ready for a rush week? and 04 – Alpha better Gamma. If you know me you would know I absolutely ADORE Bows, I really loved this, still being at collage with early morning hours I always tend to put my hair in a pony and these little guys really did add to making my pony tail look super adorable and somewhat more stylish, Really loving them and the colours are also very much fitting for everyday use even if you are still in school. 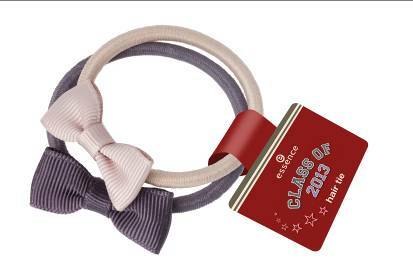 Hair ties available in 01 Campus Fellows. I Really love the products i got to review and will without a doubt be adding some of them to my personal makeup kit on a more permanent basis. 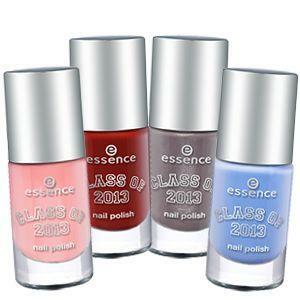 If you would like to check out some of these be sure to pop into your nearest Clicks or Dis Chem as Essence can be found at these stores. Hope you guys have a Rocking Friday and Amazing Weekend.